Bahubali Family Tree along with its cast and role in the movie. “Bahubali 1: The Begining” is certainly one of the most talked movies in Indian movie history. The movie was extremely popular among the fans and critics along. With the success of the movie, the makers have now come up with its new part as the prequel to the story. Many stars like Anushka Shetty, Prabhas, Ramya Krishnan, Nassar, Rana daggubati, Sathyaraj, Tamanna Bhatia, Adivi Sesh have appeared in the movie. Fans of the Bahubali movie series have surely had some trouble understanding the relation inside the royal family of Maheshmati. So we have come up with the Bahubali family tree explaining every single character in the family. Now let’s take a look at the Bahubali family tree. 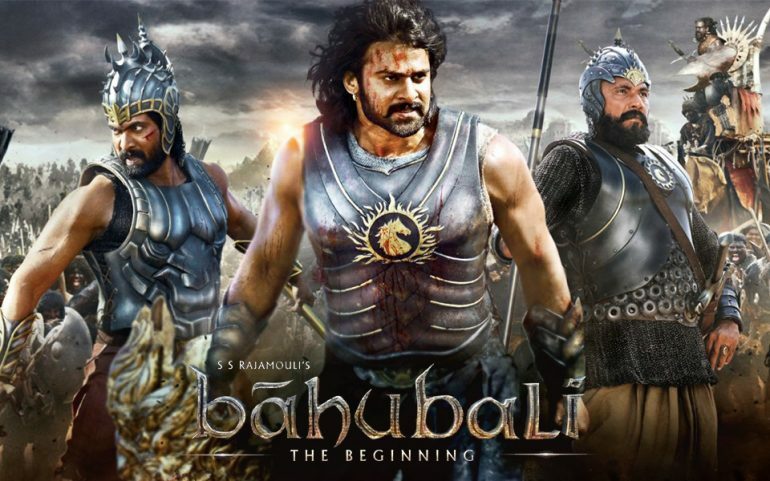 The movie “Bahubali: The Beginning” has a major amount of actors. As the Bahubali family tree already shown above, some of the main actors are listed and explained along with a few details about the actor and their role in the movie. The actor Prabhas had a double role in the movie “Bahubali 1: The Beginning”. He appeared as Mahendra Bahubali aka Shivudu and also had a small appearance as Amarendra Bahubali. The actor Rana Daggubati played the role of villain in the movie “Bahubali 1: The Beginning”. He appeared as Bhallala Deva in the movie and his acting in the movie with a masculine physique which is well appreciated. Actress Anushka Shetty played the role of the queen mother and wife of Amrendra Bahubali in the movie “The Bahubali 1: The Beginning”. Anushka’s acting is one of the most appreciated in the movie, she had one of the most challenging roles in the movie. She performed the role of queen mother being chained and also performed the role of a caring mother and queen. Actress Tamanna Bhatia played the role of a warrior village girl in the movie “The Bahubali 1: The Beginning”. She is one of the lead actors in the movie with Mahendra Bahubali as her lover. Her acting and action sequence is also well appreciated in the movie. Ramya Krishnan played the role of Sivagami, wife of Bijjala Deva mother to the villain Bhallala Deva. Ramya Krishnan’s role in the movie is as that of a mother to both Amrendra Bahubali and Bhallala Deva. Even though, Amrendra not being Sivagami’s own son she shows immense love towards him. She is actually the one who is seen to encourage Amrendra to take the throne. Her role in the movie is also well appreciated. Sathyaraj plays the role of a slave Katappa in the movie, who is portrayed to be extremely loyal to the royal family. Sathyaraj is one of the very few actors whose acting is admired in the movie as he plays both heroic and controversial role. Controversial because in the climax of the movie Katappa reveals as the one who killed Amrendra Bahubali. The reason as to why Katappa killed Amrendra will be shown in the upcoming part that will be released by the end of April 2017. Nassar plays the role of a handicapped uncle to the King Amrendra Bahubali as Bijjaladeva. Bijjaladeva is actually the first child who was supposed to be the King but due to his deformity, he was deprived of the throne. Bijjaladeva in the movie is also father to Bhallaldeva and favors Bhallaldeva to take over the throne over Mahendra Bahubali. Nassar role in the movie also can be said to be as that of the villain as he favours his son over the rightful heir to the throne Mahendra Bahubali. Adivi Sesh plays the role of Bhadra the prince in the movie. Bhadra is the son of Bhallaldeva who has a very less role in the story. The only one time worth mentioning the character is in the climax of the movie where his head was sliced by Mahendra Bahubali. And what about bhalladeva wife ? She is never mentioned in either movie. Thank you for the lineage chart! I saw Baahubali: The Beginning 3 times in the theater and just saw The Conclusion 2 weeks ago. Wound up thoroughly confused so just watched The Beginning again on demand. Not confused anymore!! I usually wind up being the only white person in the theater audience, but it hasn’t stopped me from having some interesting conversations with the other people in the theater. Of all the Indian movies I gave seen, I have to say that these 2 have been my favorites! !